On 7 and 8 August in village of Kato Vouves near Kolymbari. 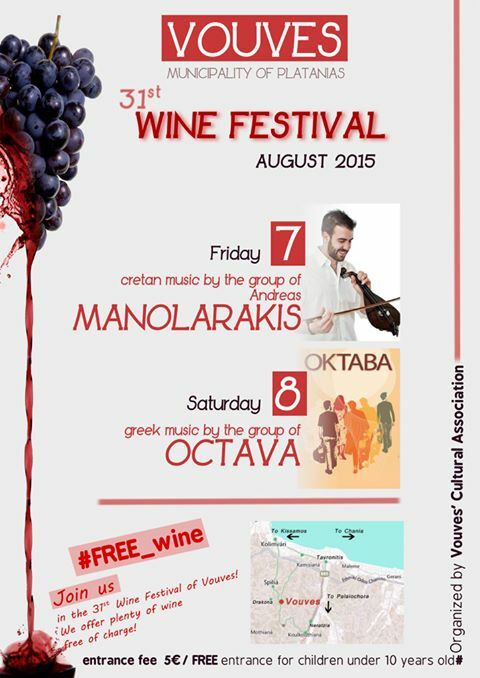 Wine festival with traditional music and dancing. Starts at 21.00 with €5 entrance fee.